Hilo lies on the lush and wet side of the Big Island which means that a light raincoat is a must-pack for any outdoor activity you are planning. There are plenty of things to do here, like going to see the lava, hiking to waterfalls, and even going to the beach. 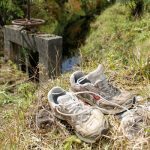 A list of outdoor activities that you can enjoy around Hilo, but also at other places on the Big Island. 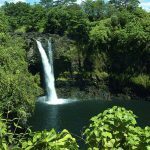 Local activities and attraction that are specific to Hilo. Think of museums, waterfalls, farmers markets or the local brewery. 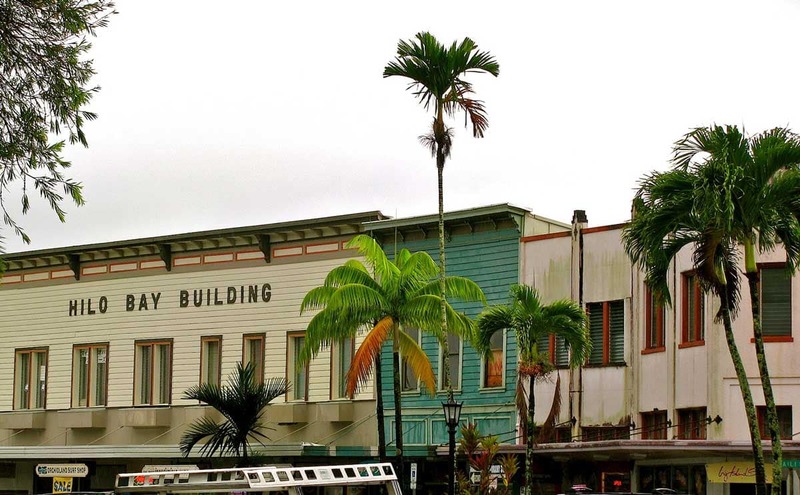 There are plenty of activities to be found in the town of Hilo. For example, you can visit the ‘Imiloa astronomy center or get a taste of Hawaiian history in the Lyman museum and mission house. There is also a tropical zoo and a fantastic local farmers market. Hilo also offers many options for the culinary or culturally interested visitor. Browse below for some activities that can be enjoyed in Hilo! The 422 ft tall ‘Akaka falls are part of the ‘Akaka falls state park, a few miles north of Hilo. 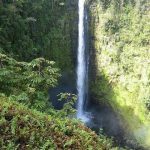 These are the most famous waterfalls on the Big Island and very accessible through a short hike. Read more about the ‘Akaka Falls. The Rainbow Falls within Hilo are a perfect place to visit early in the morning for a picnic or perhaps even before breakfast. It falls over a lava-cave that is home to the ancient Hawaiian goddess Hina, the goddess of the moon. Read more about the Rainbow Falls. Coconut Island in Hilo Bay is a great place to relax and/or swim for a few hours. The small island contains clean restrooms, two small beaches, a grassy area, picnic areas, and a 20 ft tower used for jumping. Read more about Coconut Island. The Hamakua Coast is an incredible scenic stretch of land that of 40 miles that connects Hilo to Waipi’o Valley. There are so many spectacular waterfalls and incredible canyons lined by lush rainforest that you will keep saying “Let’s stop there!” over and over. Don’t forget your camera! Read more about exploring the Hamakua Coast. 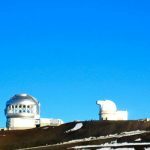 The ‘Imiloa Astronomy Center is a good pick if you (or your kids) want to learn about Hawaiian culture and astronomy. 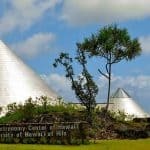 The ‘Imiloa center offers educational and cultural programs for visitors, students, and local residents through exhibits, activities and a full-dome planetarium. Read more about the Imiloa Astronomy Center. 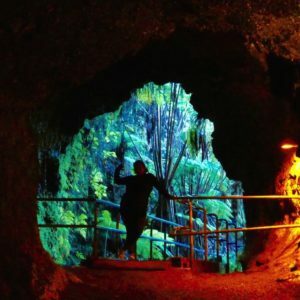 Kaumana Caves Park is a skylight in a 25-mile long lava tube that was created by the 1881 flow from Mauna Loa. You can explore the lava tube a short way in both directions before the lava tube enters private property. Read more about exploring the Kaumana Caves. The Pana’ewa Rainforest Zoo is the only tropical zoo in the United States. 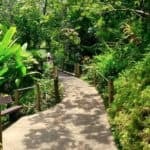 You can visit a variety of rainforest animals and endangered Hawaiian animals, such as spider monkeys, lemurs, nene geese (the Hawaiian State bird), and over 80 other animal species. 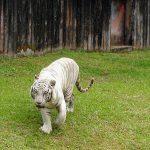 Read more about the Pana’ewa Rainforest Zoo. 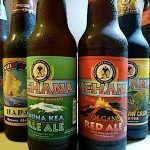 The Mehana Brewing Company is Hawaiiʻs largest independently-owned craft brewer. Their tasting room and gift shop are open from noon on most days. Read more on our website about the Mehana Brewing Company or see a current listing of the opening hours on their website. The Hilo Farmers Market is a must-visit if you are in town on a Wednesday or Saturday. Over 200 local farmers and artists sell their produce, crafts, gift items and tropical flowers in a festive outdoor atmosphere that recalls back to the old “plantation” days of early Hilo. 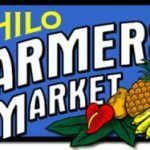 Read more about the Hilo Farmers Market and the 5 other farmers markets in and close to Hilo. 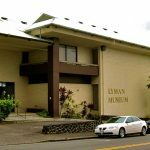 The Lyman Museum gives a bite-sized history of the island of Hawaii and its culture. The staff is well educated, and there is a good selection of videos. The Lyman family home next door has the story of Hawaii’s education and is included in the museum ticket. Read more about the Lyman Museum and Mission House. Beyond the Hilo city borders you can find gorgeous hikes and scenic drives, as well as impressive waterfalls in the ‘akaka falls state park and the rainbow falls and some snorkeling spots towards Pahoa. 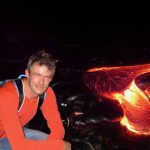 Next-door destinations that you might want to consider for activities are Pahoa (lava viewing and hot ponds) and Volcano Village (lava viewing and the Hawaii Volcanoes National Park). ATV tours are a fun way to explore the beautiful difficult to access places that are difficult to reach. Tours typically take you on a 10+ mile drive through private lands with stops on the way at scenic points and historic sites. Close to Hilo you can take an ATV tour at the 220-acre Pa’ani Ranch. Read more about the ATV Tours on the Big Island. 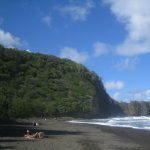 There are no picture-perfect white sand beaches on this side of the island but there are plenty of black sand beaches and beach parks. When the sun is out they are great to relax, snorkel and spend a good few hours. Read more about the Beaches around Hilo. The Hilo and Hamakua coasts are filled with rainforests, waterfalls, and tropical flowers. 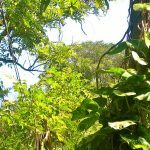 These natural treasures can be most easily seen in one of the botanical gardens on the Big Island. Read more about Botanical Gardens close to Hilo. 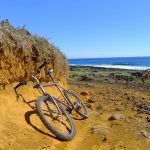 If you want to use two wheels to explore the surrounding of Hilo (and the Hawaii Volcanoes National Park) that is also possible. Put on your helmet and read more about Biking on the Big Island. There are a few campsites and beach parks in and around Hilo where you can pitch your tent and “really” be outdoors. Plan ahead because most campsites need to be reserved ahead of time. 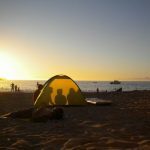 Read more about Camping on the Big Island. Hilo is the most popular departure point for helicopter tours for a good reason: tours departing from Hilo Airport can take you to see the tropical waterfalls and the active lava fields in less than 1 hour. This short flight-time makes the tours that depart from Hilo cheaper than the lava helicopter tours from the west coast of the Big Island. Read more about Helicopter tours from Hilo. The green and lush (wet) surrounding Hilo make for some stunning hikes. From a short 30 minute hike through botanical gardens up to a waterfall to hour long hikes to the lava. Read more about Hiking in Hilo. There are several hot springs / hot ponds in the Puna district close to Hilo. 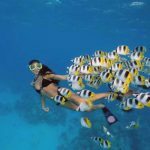 Most are publicly accessible and especially if you are staying more than 7 days on the Big Island, these make a great addition to your itinerary!. Learn more about hot ponds on the Big Island. Both Hilo and Volcano Village are well suited to use as a base when you want to go and see the lava. Hilo is closer to the lava flows in Kalapana, while Volcano village is literally around the corner of the Hawaii Volcanoes National Park. Read more about lava viewing on Hawaii. A small detour to your destination can often open up a whole new face of the Big Island. 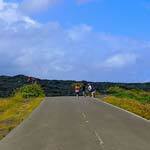 Scenic drives close to Hilo are the Onomea scenic drive and the Kapoho Kalapana road scenic drive. Read more about the Scenic drives on the Big Island. 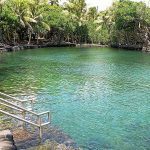 If you really want to snorkel in the waters around Hilo that is possible (and interesting) if you go to some of the beach parks north of Hilo and along the Puna coast. The best Big Island snorkeling however, is found on the Kona (west) coast. Read more about Snorkeling around Hilo. 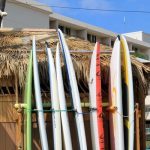 Stand up paddle surfing (SUP), or in the Hawaiian language Hoe he’e nalu, is an emerging global sport with a Hawaiian heritage. 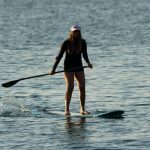 Hilo has SUP board rentals and lessons available and is a great place to try out SUPping. Read more about SUP. As goes for most water based activities, Surfing also is nicer on the west coast. If you really want though, you can find some good surf spots in and around Hilo. Be modest though, and treat the ocean and locals with respect. Read more about surfing on the Big Island. The lush and tropical north and east coast of the Big Island are filled with waterfalls. 4 of our 5 favorite, most easily accessible, biggest and most popular waterfalls are close to Hilo! Read more about waterfalls on the Big Island. Ziplining is an activity where you are attached with a harness to a rope that is strung between a high and a low point. 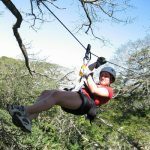 The ziplines are built high above scenic areas and features such ravines, jungles, meadows, and forests, and there are plenty of those around Hilo. Read more about Ziplining in Hilo.